I’m currently working on a mechanical hand for the Musée Mécanique, a coin-operated mechanical museum and arcade in San Francisco. When a coin is inserted, the hand will cycle through bending each finger one at a time and then display a random gesture − a thumbs up or a peace sign, for example. The first step is to construct a working prototype to gauge visitor engagement and test reliability under real world conditions. 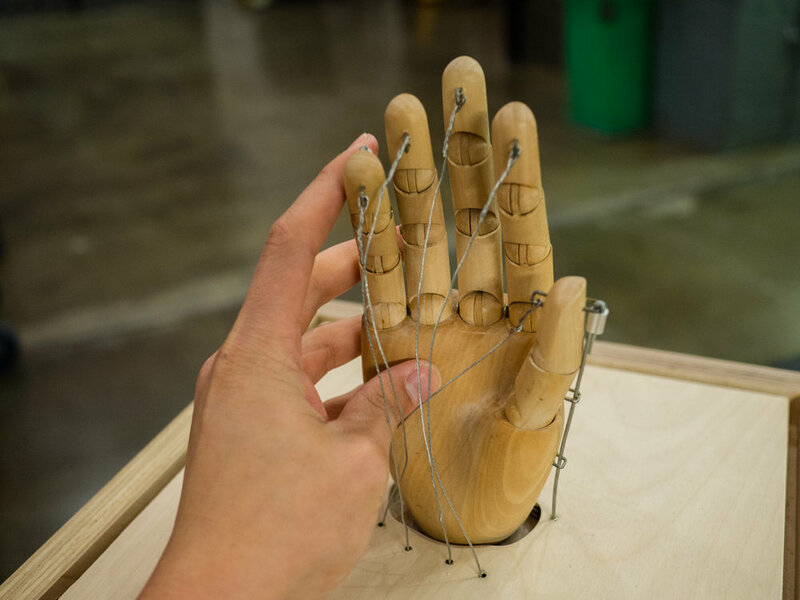 The hand currently being used is adapted from an artist’s mannequin. 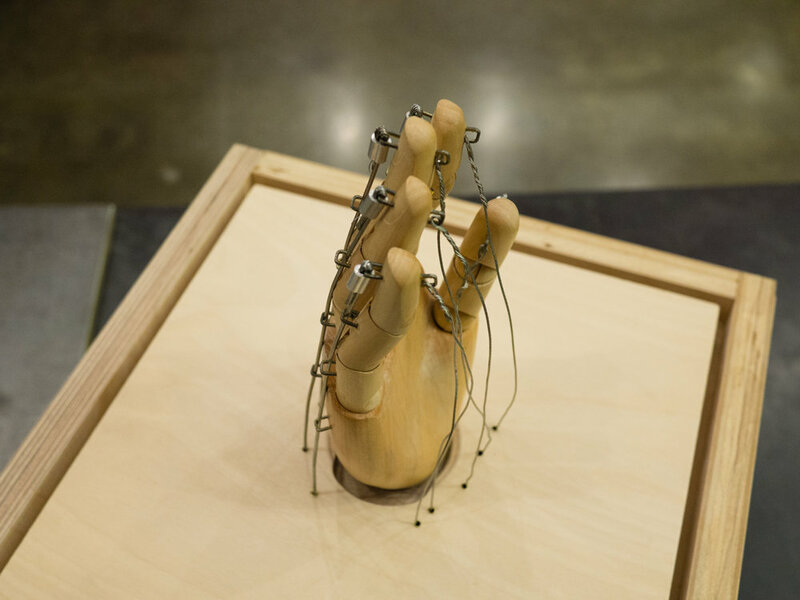 After experimenting with different configurations for how to actuate the hand, the current iteration uses stiff cables running along the back of the hand, which hold each finger upright in its neutral position. Thinner cables attached at the front of the fingertips are pulled down with servos to close the fingers. The system is controlled by an Arduino. At this time, the movement of the hand is not smooth and occasionally will bind. Eventually, the goal is to design a custom hand, free of these issues. This would also allow the necessary robustness to eventually adapt the mechanism so each finger can be individually controlled by the user through some kind of tactile user interface.